26 Mar Get Your SPRING On! It’s time to simply ACT as if spring is bursting out all over. Get out your eggs and hang them from the chandelier in your dining room. Eggs? 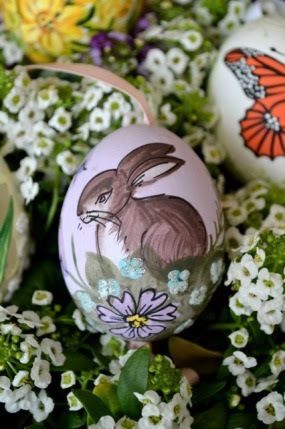 Well, I have been collecting hand painted Easter eggs for many years and unpacking them is a rite of passage to the spring season. At Natureworks, our eggs were mighty late in arriving this year, in fact they just landed on our doorstep, direct from Austria, on Monday. But they are simply beautiful and will surely elicit the squeals of delight with your family as they did with our Natureworks family as they oh-so-carefully unpacked them.The weatherman promises that the temperatures will rise into the high forties, perhaps even 50 degrees by the end of the week. Yikes! A heat wave! With that, you will see the garden move into fast forward. Even at 34 degrees, and despite the weekend snowstorm, the tulips on the south side of my house bravely pushed their noses up and grew a few inches. I started thinking about the deer that have become a much bigger problem in my yard since I had the “back forty” cleared of invasives. The slowly disappearing snow is also revealing underground tracks in a lot of my customer’s yards, a sure sign of voles feasting on bulbs and roots and rhizomes. Last year we introduced a product that will protect your plants from deer and voles. 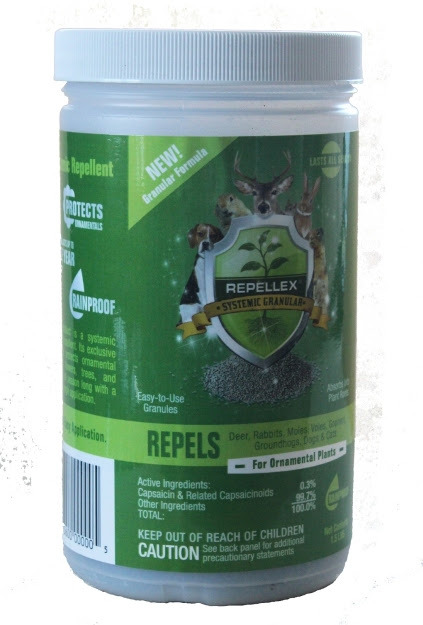 Repellex systemic is an all-natural granular powder that you sprinkle around your plants. It HAS to be applied as the plants are growing, which believe it or not is starting now. It is taken up into the plants and makes them taste like hot pepper. (the active ingredient is capsaicin.) Once that happens, your plants are protected for a full three months. Last year, Jane had Hostas in front of her stone wall, Diane has Liatris in her meadow, all because they trialed this new product. 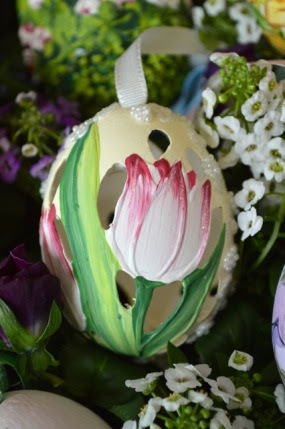 This weekend is our Bulb Bash! We will be celebrating all of the bulbs that are planted in the spring. Dahlias, calla lilies, tuberous begonias, caladiums, pineapple lilies, gladiolus, and a lot more. We will be answering questions about which bulbs grow where and demonstrating how to start them indoors and when to plant them directly in the ground (hint- it has to be a lot warmer!). And our awesome selection of bulbs will still be on sale: buy 5, get one free. 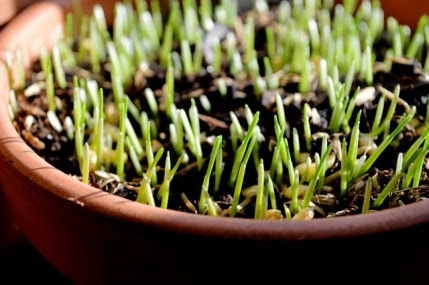 This Saturday and Sunday we are also having a Seed Sowing Workshop. Jane is teaching it on Saturday and Erich is teaching it on Sunday. 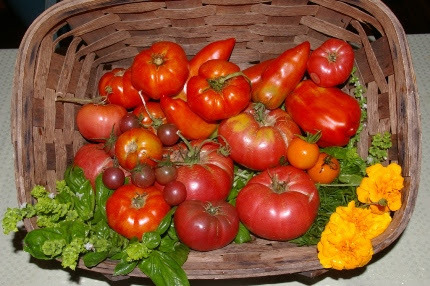 You will be given a full tray and can pick and choose from a wide range of warm season seeds (tomatoes, peppers, eggplants…). This is your chance to dive into seed starting guided by our experts and to plant a fewof a lot of different varieties. No need to buy full packets of seed. It will be a fun class and just what the doctor ordered as late March is prime time to start these seeds. Information can be found on our Events page. The sale in our greenhouse on flower show plants continues through the weekend. Half price Hellebores! Wow! 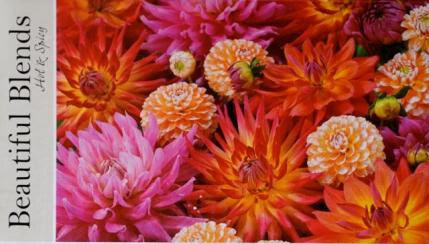 Plus we have quite a few other beautiful perennials, all in full bloom, that will grace your garden for years to come. We need the room for….pansies and sweet allysum and anemones and all kinds of other early spring plants that will be perfectly happy in our cool greenhouse. A week from Thursday I am honored to be giving a talk at the Smilow Cancer Center at Yale-New Haven Hospital on The Healing Power of Plants. This is a FREE event, all are welcome, all you have to do is register (see below). This has been something I have been experiencing and thinking about for a long, long time. It is really inspirational to be given the opportunity to gather my thoughts together into a presentation. All winter long, quite magically in fact, new aspects of this powerful subject have been appearing in my world. Talks I attended, books I picked up, people I spoke to- everything has been feeding into this theme in my life. I will be focusing on two major aspects. The first are the actual plants that have healing properties. 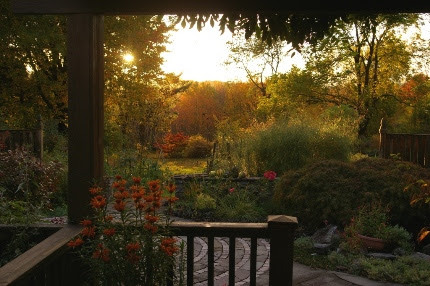 The second are the sacred spaces and healing gardens that we can all create to offer us peace and relaxation in our crazy, hectic world. I invite you to join me on April 2ndfrom 5:30-7 pm. See? After reading this newsletter, haven’t you forgotten about the snow outside? It worked! Come on in to Natureworks and chase away the late spring blues. 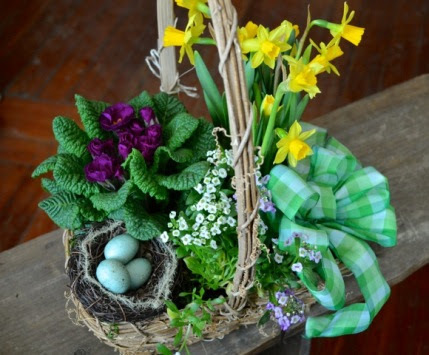 Flowers, Easter eggs, seeds, plants, and everything you need to get growing and feel happy will be waiting for you. P.S. 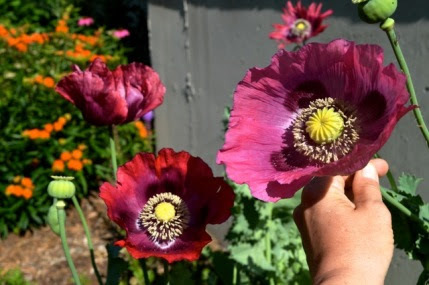 This is the IDEAL week to sow your breadseed poppies on cold soil. We are restocking for the weekend, don’t miss this opportunity to have amazing color in your garden for very little effort.